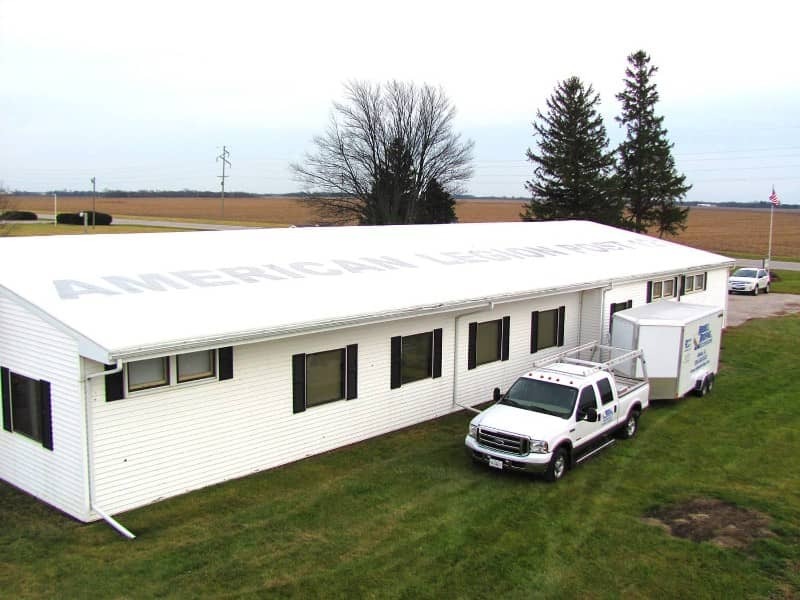 Duro-Last 50 mil was installed on the American Legion post in Aledo, Illinois. They chose Duro-Last for the 15-year warranty. The American Legion previously had a black roof that had begun to leak. They selected a new white roof for energy efficiency. Riddell Roofing suggested roof lettering, available from Duro-Last, as a way to enhance their advertising opportunities on their slightly sloped roof.